I took a break from the podcast last week but it wasn’t to go on a vacation or take some time off as much as it was to get ready for our Spring Recreational Coaches Meeting. The week was spent pulling together paperwork and uniforms in preparation for the spring season that starts this week. I also did presented a session to the coaches to give them some ideas that they could use in training. The session was on training players to change direction with the ball. I used one of my teams to demonstrate the activities so that the coaches could see what it looked like with players going through the practice. It was a lot of fun and hopefully it gave the coaches some ideas that they can use with their own teams. “How do I get the small grid games and practices to translate to the game better? How do I get the passing patterns we do in groups of 4 to 6 to start to develop on the field during the game? We have great passes, give and goes, check in and outs in small groups when I have that set as the practice, but when we play small-sided games I don’t see the patterns that we built up to. Thanks for the question Mike! This is a very important question. If they can’t translate concept we’re teaching them to game situations what good is it to teach them in the first place? My suggestion is slowly add the pressure of defenders to the patterns that you’re working on. This will move what you’re doing from the practice environment to the game environment in the players minds. Something else I should have mentioned but didn’t is the importance of performing technical exercises at game speed. If they’re not doing it fast in practice they won’t be able to do it under pressure in games. Making technical activities competitive is a great way to challenge the players to go as fast as they would in a game. They’ll make mistakes but then they’ll adapt and be able to handle game pressure and still perform. Today I want to talk about one of the biggest challenges we have as coaches. It seems to come up almost every time I talk to a coach about how their team is doing and what they’re working on at the moment. 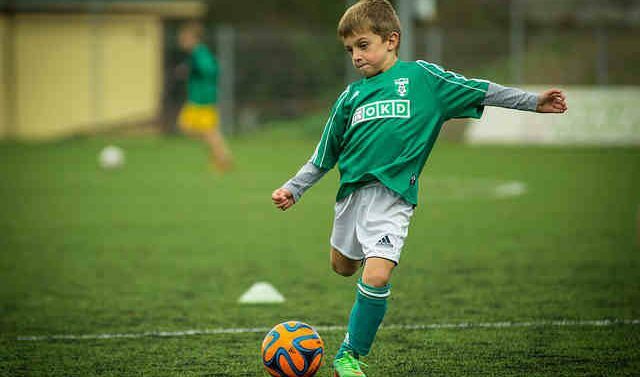 How do you strike a balance between teaching the skills important to the game while also training players to understand the game? Make sure you subscribe to Coaching Soccer Weekly through iTunes, or your podcast provider of choice, to be sure you never miss an episode. We would appreciate it if you would leave us a 5 star rating and/or a written review on iTunes to help spread the word about the show and ensure that we can continue to bring you top notch guests in the future. I’m not sure what the topic for next week’s podcast will be. Let me know if there’s something you’d like me to share my perspective on. Because it’s spring, I recently went back and listened to your podcast on tryouts (#63). In it you seemed to indicate your club does tryouts in June. What I have noticed in the East is that more and more clubs are moving their tryouts earlier. Tryouts in May, while the season is still ongoing, have become normal. Then some clubs moved them to April. Now I see clubs doing March, when the spring season has barely begun and the weather isn’t optimal. I suspect these clubs are looking to gain an advantage in getting players committed to them, but I wonder if you would comment on the advantages/disadvantages for a club and for players/parents in this trend–and whether you see it elsewhere. Our State Associations don’t allow us to hold tryouts until the week after State Cup has finished. I’m surprised to hear that you can just hold tryouts whenever you want. I would think that a lot of people back out on commitments they make in March or April once they’ve attended tryouts that are still being held in May or June. Thanks for your reply. Yes, some state YSAs do “not have restrictions for tryouts.” That’s a direct quote from one state officer I checked with just to make sure that was the case before I replied to you. As you suggest, that can lead to quite a free-for-all. Not always just players backing out, but rather players/parents waiting weeks after they’ve received an offer from a club to make a final commitment. It becomes up to the club/coach to decide whether it wants to wait, or move on. Sometimes it depends on how much they want that player. The system I suspect works to the advantage of the most desirable clubs (which don’t have to wait) and top players, but can be a bit of a scramble for everyone else–players and clubs alike. I don’t know enough about the history of the system to say whether it has always been this way, and whether these associations have debated enacting restrictions, and if so, what reasons they have for not putting them in place. But it’s a very different system from the one you describe; for instance, the idea of offering players a place on a team right there on the tryout field is pretty remote. I remember a couple of podcasts ago you mentioned about how you’re going to focus more on the whole-part-whole model this season and possibly do a podcast on it sometime soon. It would be awesome to hear what has worked so far for you and what specifics you needed to adjust in this model of training so far this season! Thanks for the reminder. I’ll add that to my list. I think your comments about “ages” and “stages” is right on the money. It also depends on if a coach is coaching a recreational team or a club team. Recreational teams rarely, never in my experience, have the same group of players from season to season. Club teams often keep the same players together and try to grow the unit over time. If you are a recreational team coach, I would say focus more on the individual player skill development than the strategy. A solid technical player will have more options tactically, in any given situation. If you are coaching a club team, I can see where increasing the player’s “Soccer I.Q.” is important. There is a greater emphasis on the team than the individual. Unfortunately what tends to happen across the board is that individual player technical development plateaus somewhere along their development, usually in their early teen years, and the focus shifts to team tactics. This is yet another reason why the coaches who are coaching recreational, and entry level club teams, should emphasize teaching solid techniques and developing the players over the team. You can’t go wrong by investing in your players over winning, especially at the U-14 level and below. . I coach a rec U-10 team and I try to strike a balance between the team and the individual player skill. In my opinion, if you focus solely on the player development you risk taking the fun out of the game for some kids, especially if you’re losing all the time. However, if you’re not focusing on player development, then they won’t be quite as prepared when they are moving up an age level. Chad, As with anything, it’s how you do it that make all of the difference. It sounds like you’ve found an approach that works well for you and your team.